A new interface for managing APIs directly from Scriptcase. This new interface will turn the integration of Scriptcase with external APIs easier. Sending emails using automatic integration with email APIs services like: Mailchimp, Mandrill and Amazon SES will be a simple task on release 9.1! For those who require further settings there will be two new macros: _ sc_call_api and sc_send_mail_api for advanced implementations with APIs integration within Scriptcase events, control and blanks. 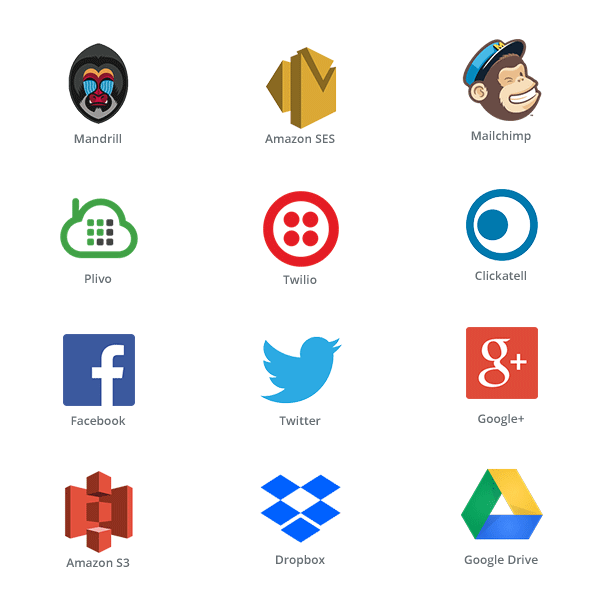 In addition, other APIs will be available in upcoming releases. 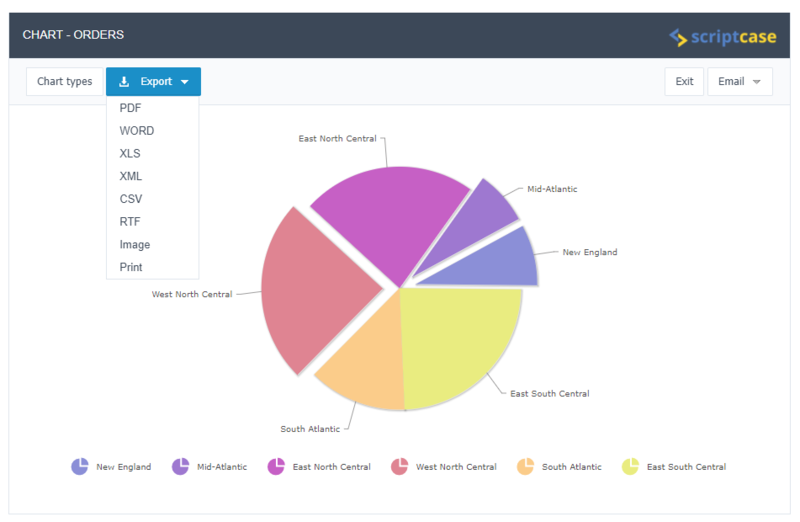 A new way to share reports! Now with Scriptcase 9.1 you have a new button to send emails from Grids, Pivot Tables and Charts with reports attached in pdf, html, xls, xml, csv, rtf, word or images. Push settings can easily be shown within the interface using SMTP, Amazon SES or Mandrill. For Chart applications, besides the option to send via email with the new button “Send”, there are also new settings to export to formats: xls, xml, csv, rtf, word and image. For HTML and Images exports from Chart applications, it was added a new important option for Chart depth output selection, according to the metrics used. This option is also available for PDF exports within Grid Application. New dynamic tags that allow you to select or manipulate the conditions and fields with ajax directly within the application with a simple and modern interface. New configurations options that allows, for example, to add buttons within the Search form body. In the Summary and Chart Search feature were added new relative period conditions to Filter: “Current quarter until today” and “year to date”. 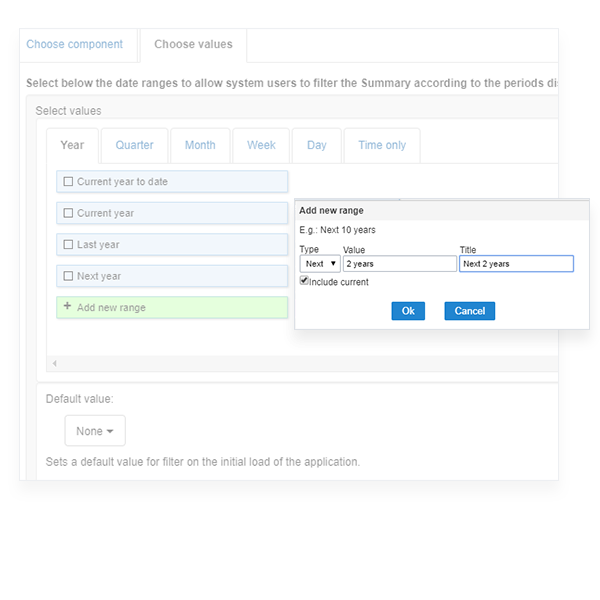 In addition to the options for creating customized periods with related conditions directly within the Filter interface. 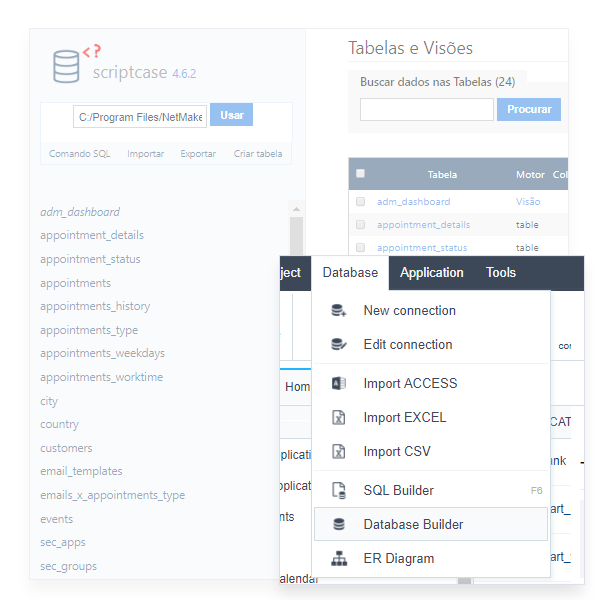 It gives you freedom to create special conditions to your reports! New viewing with lateral expansion or fullscreen code area and access to new themes. Shortcut keys are available in all browsers that are compatible with Scriptcase. So now coding inside Scriptcase editor gets faster and more comfortable. New setting to set Chart original sorting values to and return to default state. Web development experience has gotten even better with the latest release of Scriptcase! It opens doors to a new world of APIs, integrating Scriptcase and powerful technologies in web services such as sending emails, sms, online storage and so on. In addition to implementations in filters, code editor and others. Learn more about the new features that are already confirmed. Start building applications using only your web browser with the most efficient web development environment. A powerful PHP generator for you to develop fast, simple, secure and with a low cost.